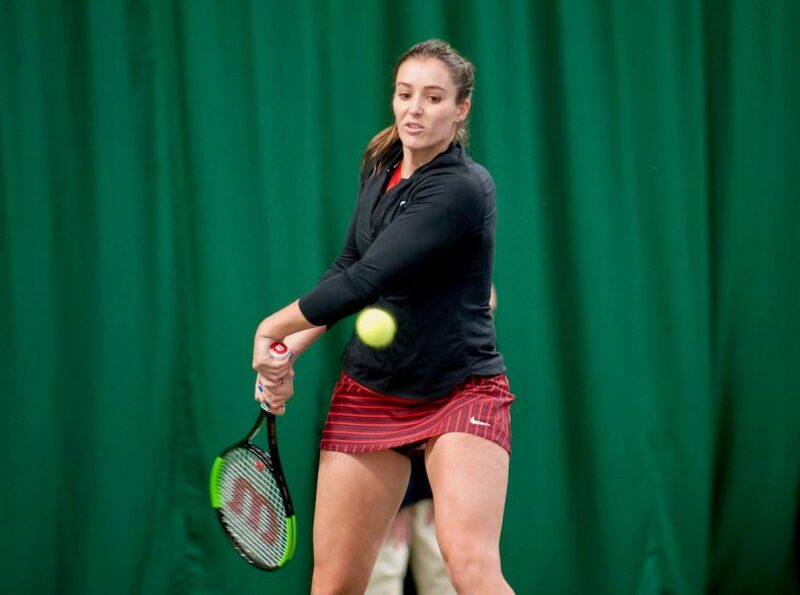 Robson, 25, playing in her first event since hip surgery last July, won her opening qualifying round match at The Shrewsbury Club but was then beaten in the second later in the day – however, she will still feature in today’s main draw as a lucky loser. “I said last week all I wanted to come out of this week being on court was just to enjoy it and I felt like I did,” said Robson, once ranked as high as 27 in the world. Six British players will feature in today’s main draw – with Robson, who will face Kathinka Von Deichmann, from Liechtenstein, drawn as the lucky loser from the players beaten in the second qualifying round after a spot became available following the withdrawal of British Fed Cup star Katie Swan owing to illness. Heather Watson has also withdrawn from the event for the same reason. Jodie Anna Burrage, having progressed from the qualifying rounds, Francesca Jones and Naomi Broady – ranked 76 in the world in 2016 – will also carry British hopes. Today’s action starts at 10am, with admission free for spectators.